Phase 1 of the trial, designed to study the safety of the procedure, was completed in 2013 with no significant adverse side effects to patients. And follow-up patient evaluations have produced some extraordinary data: Several participants in the trial, who were treated early in their disease, were determined to have had little or no significant progression of ALS for more than 700 days post-surgery. Fifteen patients were studied in the phase 2 study, the last 3 of which received 8 million stem cells injected into the lumbar spinal cord followed by 8 million stem cells injected into the cervical spinal cord. All procedures have been completed and the trial is still ongoing. No data has been released. This study uses ultrasound in ALS populations to aid in the development of biomarkers for more definitive ALS disease staging. ALS patients will have up to 5 ultrasounds of their diaphragms; these will occur every 3 to 4 months. During the ultrasounds patients will be asked to perform a few breathing assessments – quiet breathing, deep inspiration, and sniff testing. The 2-D images will allow the physician to observe changes over time, if any. Pulmonary function tests (PFTs) will be completed to help us evaluate patients’ respiratory system. We will collect basic vital signs – age, gender, height, and weight. Patients seen in our clinic are eligible to donate their brain and cervical spinal tissue as well as their teeth (molars only) to the Michigan Brain Bank after death. Family members will receive an autopsy report and the tissue will be stored and made available to scientists wishing to study ALS. These tissue donations will also be correlated with blood or skin biopsies that may have been given for another ALS study. These studies may lead to improved understanding and advances in the diagnosis and treatment of neurodegenerative disease. 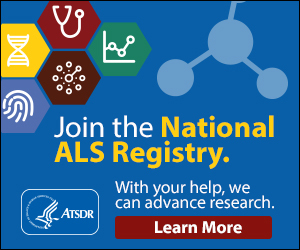 This study validates a shortened version of the ALS Specific Quality of Life – Short Form Instrument (ALSSQOL-SF). The ALSSQOL-SF is a short questionnaire that asks broad questions about emotional, spiritual, and support related issues. We will compare the ALSSQOL-SF to other tools we currently use to determine the best tool for ALS patients. At one clinic appointments patients will answer questions from several surveys. The answers to these surveys will help researchers assess concerns that are not necessarily related to patients’ physical well-being. Additional demographic and health history information will also be collected.